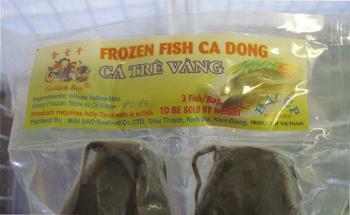 TV Food of San Leandro, Calif., is recalling approximately 27,956 pounds of catfish (Yellow Hito). The products did not undergo import re-inspection. Consumers with questions about the recall may contact Fanny Chen at (510) 878-7906.